With Friday’s fireworks in the rearview, Darcy Regier and his scouting staff went to work with six picks in rounds two through seven of the 2012 NHL Draft. While they shipped off their very first pick of day two in order to draft Zemgus Girgensons, Buffalo was able to net an impressive amount of size and talent with their remaining picks. With their nine picks, the Sabres took five centers with their eight picks at the draft, picking up a pair defensemen and one goaltender. There is no longer a need for organizational depth at center after the past two days. Counting Luke Adam, Tyler Ennis and Cody Hodgson, the Sabres have 12 centers in their system. 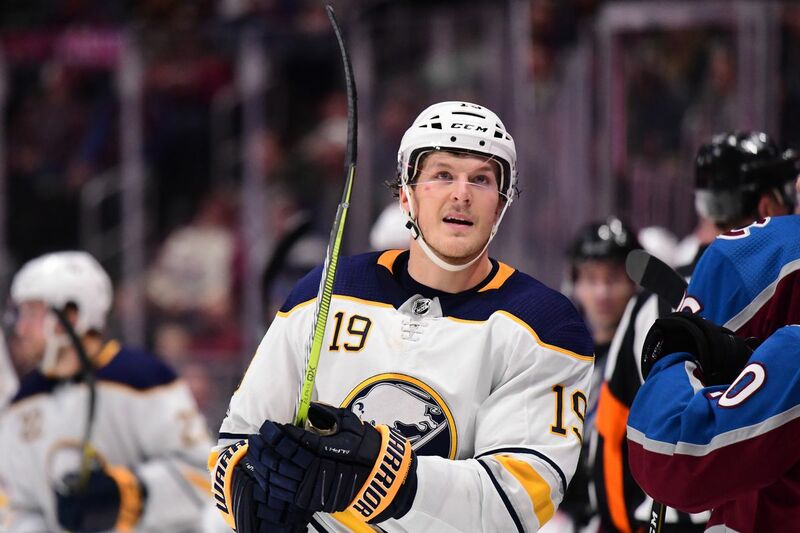 With Girgensons and Mikhail Grigorenko flirting with an immediate jump to the professional game, these improvements will be felt at every level. The Sabres also were able to begin re-stocking their crease after signing the only two goalies they had in the pipeline. After a commitment to defense in the mid-2000s, the blueline still has some prospects on the way that will be enhanced by this draft. McCabe is fairly well sized and just finished up his rookie year at Wisconsin with adequate numbers. I think the most promising part of this selection is that Wisconsin has become Defenseman-U in the past few seasons churning out talent like Ryan McDonaugh and Jake Gardiner.